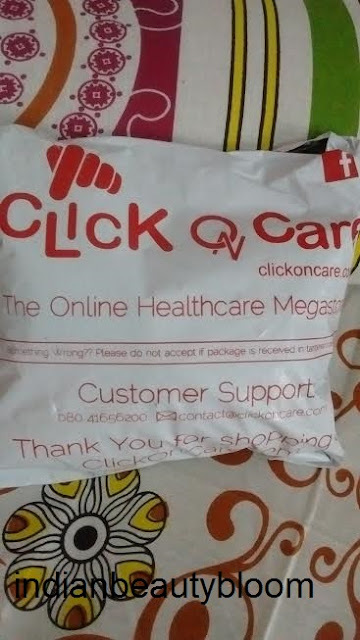 Today I am going to share my shopping experience with an online store ClickOnCare.Com . ClickOnCare.com is an online store from where one can buy personal care products , health & wellness devices , pet supplies , Ayurvedic skin care and hair care products . They have products from around 700 brands , so one can find almost products from all famous brands. 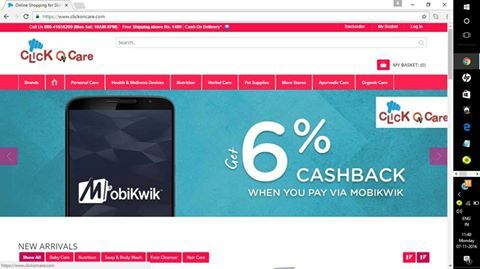 Right now they have an offer where one can get 6 % cash back on their orders if one pays through MOBIWIK . Their shipping system is good and reliable . I got my parcel with in a week of placing order and the little delay was due to Festive season holidays. I even got tracking number to track my shipment details . I was getting regular mails and messages about its updates . Shipping charges is free on order above Rs 1499 or one has to pay Rs 80 . For COD orders shipping is free on order value above Rs 1999. I ordered some six products from this site from brands like Himalaya Herbals , Cetaphil , lacto Calamine . 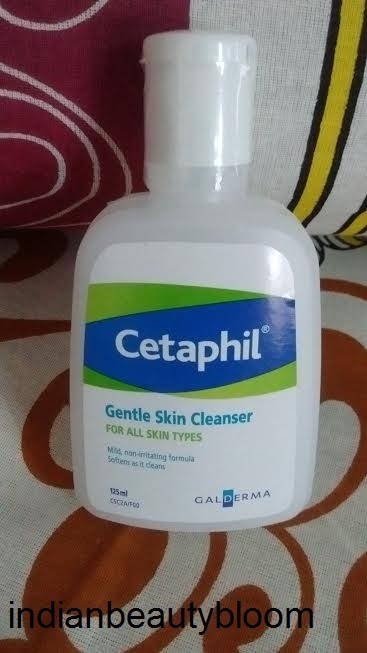 1.Cetaphil Gentle Skin Cleanser . Price Rs 215 for 125ml. 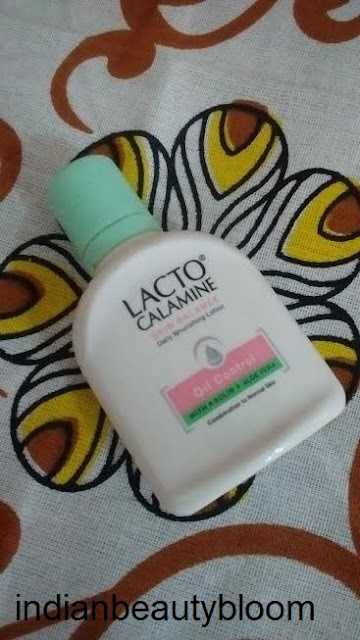 2.Lacto Calamine Oil Control Lotion . Price Rs 60 for 30 ml . Price Rs 60 for 100 gms . 4.Himalaya Moisturizing Baby Soap . Price Rs 40 for 75 gms . 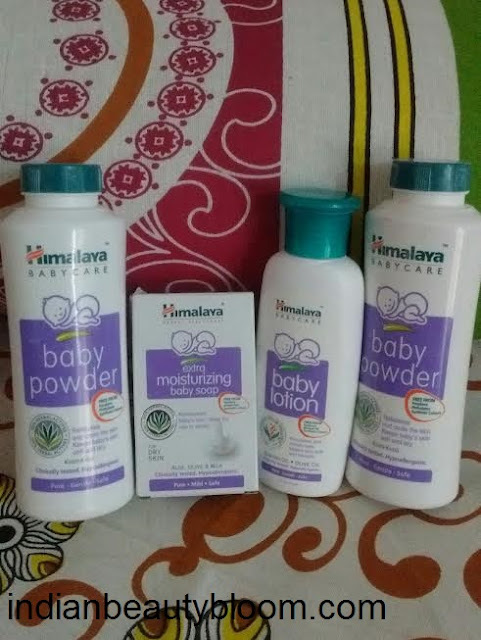 5.Himalaya Moisturizing Baby Lotion . Price Rs 85 for 100 ml. My order came in a ClickOnCare labelled carton . 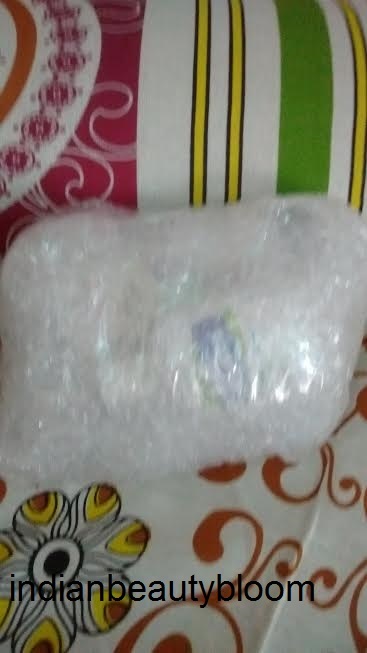 All product were wrapped in bubble wrap . So no damage at all , I got all products in good condition . I checked the expiry date of all products they are all from fresh batches as they have still lot of time to expire , all products manufactured this year only . So I am quite satisfied with their products . I chose Himalaya Herbal Products as Himalya is a well known brand and i use its products . 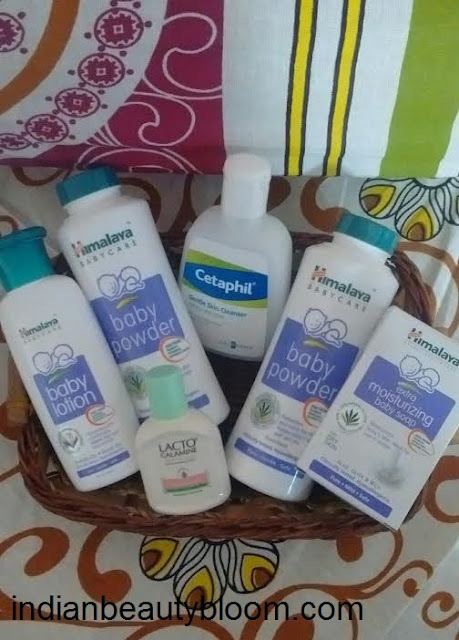 I chose products from Baby Care Range for my kids Like soap , talc and Moisturizing body lotion for their winter skin care . Then i chose lacto Calamine lotion with Aloe Vera for oily skin as my skin type is oily and i have already used this products , its good and suits my skin . Then I chose Cetaphil Cleanser . Its a Drugstore skin care product , dermatologically tested for sensitive skin . I haven’t used this product before but have read a lot about this brand so wanted to give a try . After using it for some time , I will come up with its detailed review . So this was my mini haul from ClickOnCare.Com . 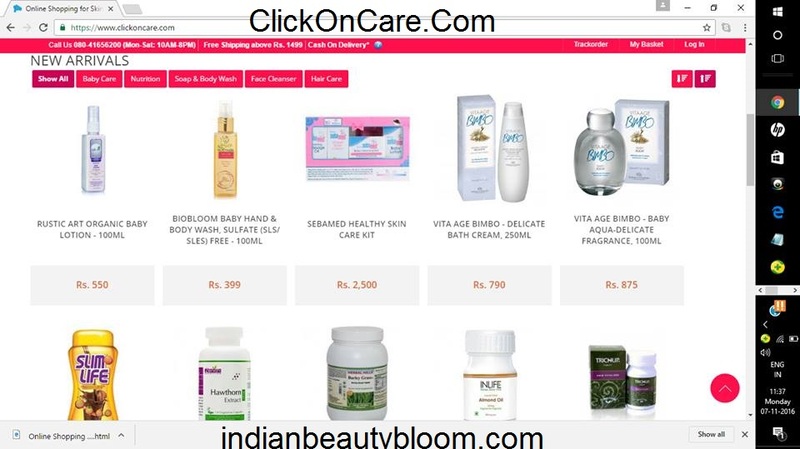 The site has many good Skin care and Hair Care products from famous Organic and Ayurvedic brands like Bio Bloom , Rustic Art , Khadi Herbals , Ozone Ayurvedic , Woods & Petals etc. Do visit the site and have a look on their wide range of products .